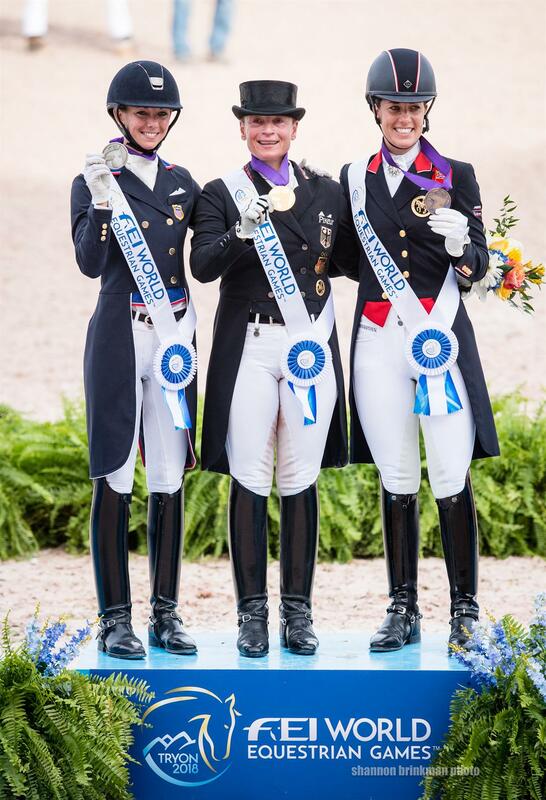 Mill Spring, N.C. – It was a historic moment for U.S. dressage as Laura Graves and Verdades were awarded the individual silver medal after a stellar performance in the Grand Prix Special at the FEI World Equestrian Games™ (WEG) Tryon 2018 with a score of 81.717 percent. 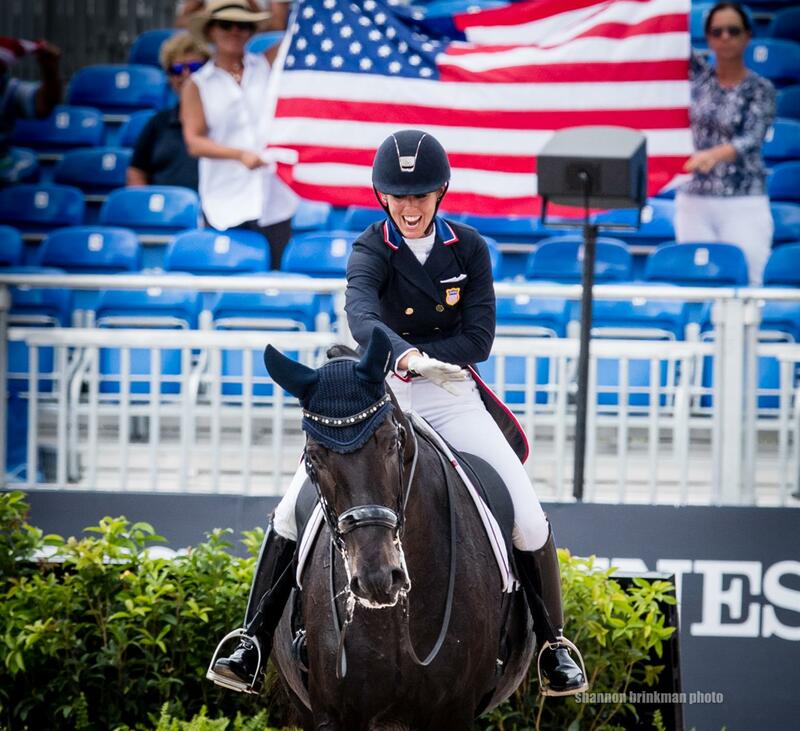 This accomplishment by Graves and Verdades is the first individual silver medal to be awarded to a U.S. dressage rider at a global championship, including the World Equestrian and Olympic Games. Fellow U.S. teammate Kasey Perry-Glass and Goerklintgaards Dublet were also successful in the Special, earning a 78.541 percent for a top-ten finish. Isabell Werth and Bella Rose from Germany won the individual gold medal on an impressive 86.246 percent, while Charlotte Dujardin and Mount St John Freestyle from Great Britain claimed bronze with 81.489 percent. Leaving no room for error, U.S. Olympian Graves (Geneva, Fla.) piloted Verdades, the 16-year-old Dutch Warmblood gelding she owns with Curt Maes, to be the first combination to crack 80 percent in the Grand Prix Special. Calm and composed, Verdades danced down the centerline after beautifully executing a technically challenging test. Graves and Verdades will compete again in the Freestyle on Sunday. Looking forward to Sunday’s Freestyle, Graves commented, “We can’t be any more prepared than we are right now. [Verdades] just felt really rideable,” said Graves. Perry-Glass (Wellington, Fla.) and Goerklintgaards Dublet, Diane Perry’s 15-year-old Danish Warmblood gelding, entered the Grand Prix Special on a mission. Demonstrating flawless passage and forward tempi changes, Olympian Perry-Glass and Goerklintgaards Dublet ended the day on a 78.541 percent. As the first U.S. combination to ride the Grand Prix Special, Olympian Steffen Peters (San Diego, Calif.) and Suppenkasper, Four Winds Farm’s 10-year-old KWPN gelding, highlighted Suppenkasper’s ground-covering scope of motion in the extended trot. A miscommunication in the first piaffe early in the test earned them a score of 69.073 percent. Adrienne Lyle (Ketchum, Idaho) and Salvino, Betsy Juliano LLC’s 11-year-old Hanoverian stallion, experienced some mistakes in the passage and canter work, resulting in a score of 69.043 percent. The top 15 competitors with a score of 70 percent or greater from the Grand Prix Special will compete as individuals in the Grand Prix Freestyle on Sunday. Graves and Perry-Glass have qualified. Competition concludes Sunday, September 16, at 8:30 a.m. 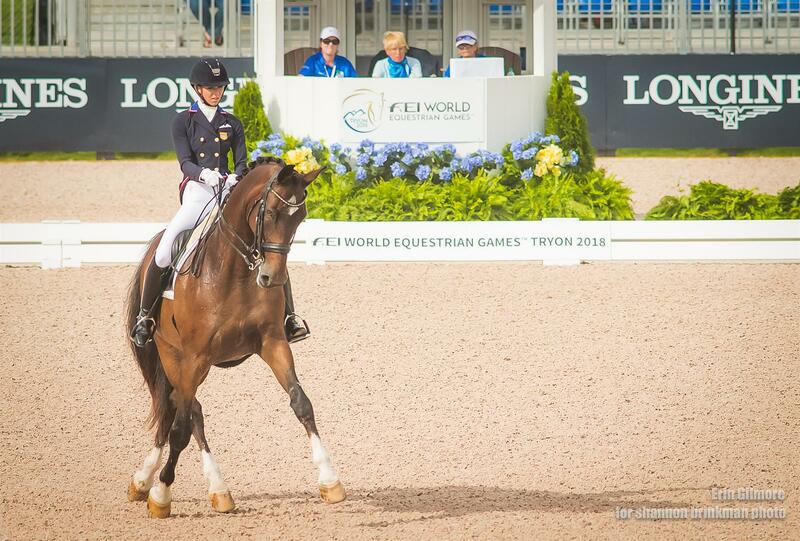 ET in the U.S. Trust Arena, with the individual competition for the Grand Prix Freestyle. Click here for a complete dressage schedule at the WEG.